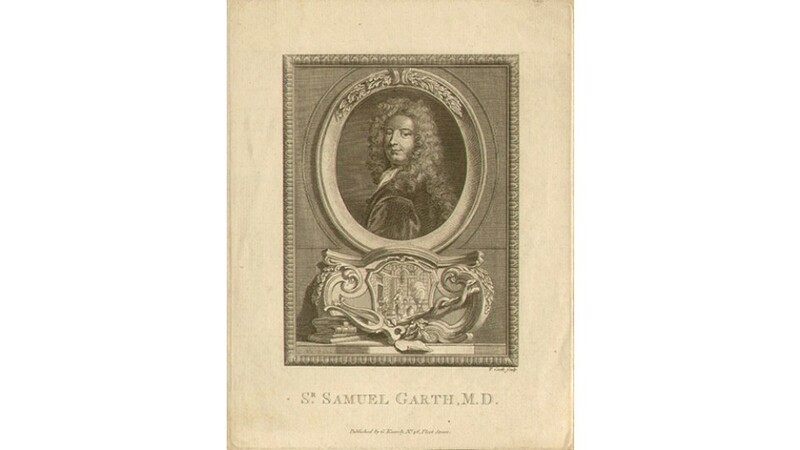 Sir Samuel Garth FRS (1661 - 1719) was an English physician and poet. 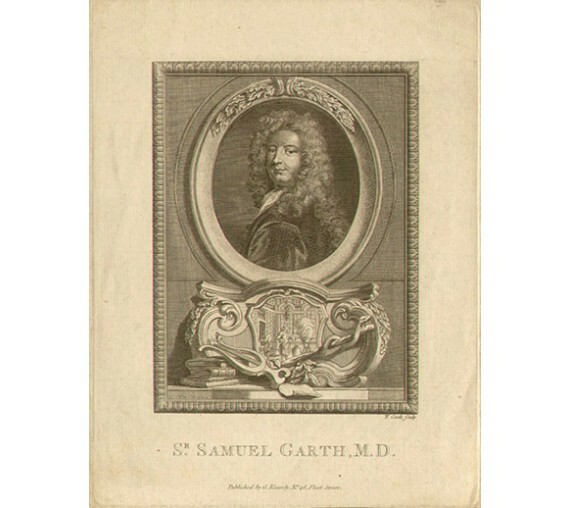 Garth matriculated at Peterhouse, Cambridge in 1676, graduating B.A. in 1679 and M.A. in 1684. He took his M.D. and became a member of the College of Physicians in 1691. He settled as a physician in London and soon acquired a large practice. He was a zealous Whig, the friend of Addison and, though of different political views, of Pope. 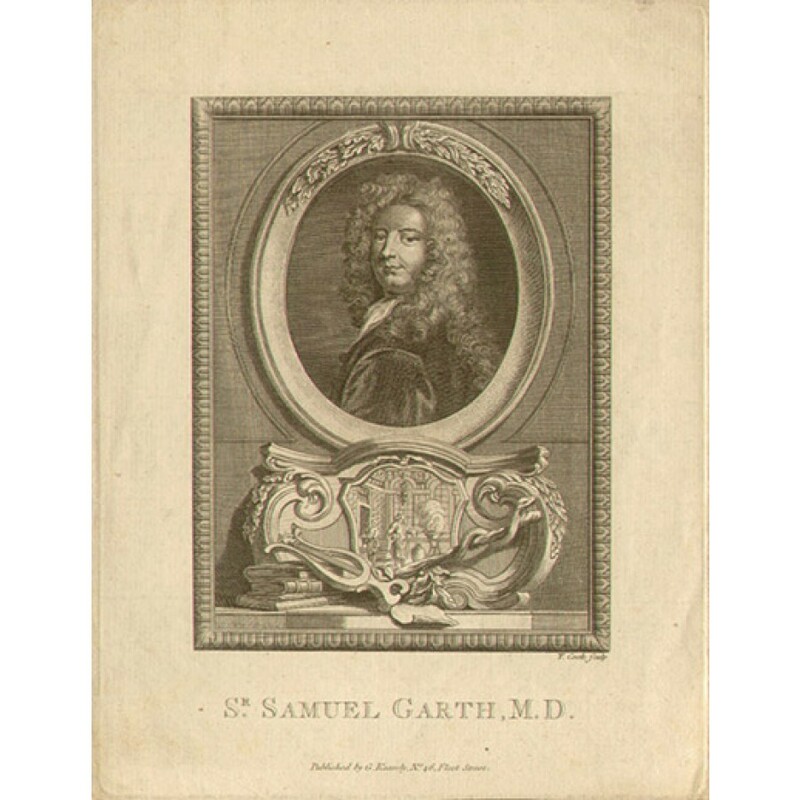 He ended his career as physician to George I, who knighted him in 1714.